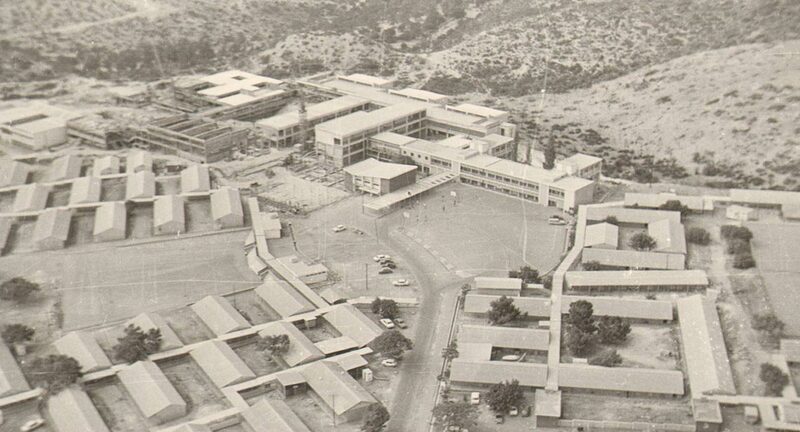 St John’s School opened in April 1960 with a pupil population of 36, the only secondary provision prior to that time being in the Retained Site of Berengaria, within Polemidhia Village, Limassol. Two years later all secondary pupils were attending St John’s and the original buildings were proving inadequate for the pupil numbers. Teaching staff numbered 32 in 1962 and had grown to over 100 in 1974. Similarly, pupil numbers of 500 had grown to 1,500 and the initial two storey school building was surrounded by a huge number of Cyprus and Twynham huts. All that remains of the original St John’s now is the Episkopi Primary School hall. 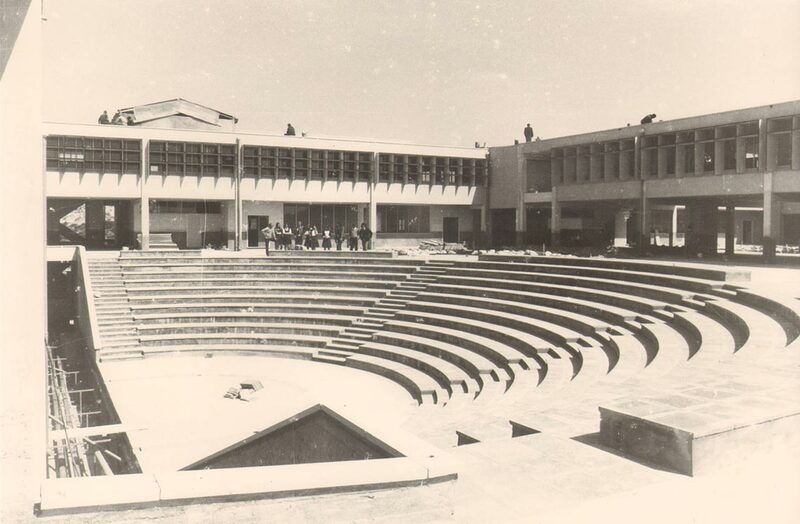 The new buildings were occupied in 1975 – and the remaining 400 pupils and 45 staff enjoyed amazing facilities and huge open spaces. Part of the school had been reallocated to Episkopi Primary School which moved to a new location, having previously been some distance away. Huge reductions in the number of Service Personnel in Episkopi and Akrotiri, and the withdrawal of families from Limassol, meant that whilst the pupil numbers steadied and grew slightly, they never again reached the huge population of 1974. The school motto, ‘Haec alim meminisse Juvabit’ which means ‘To look on these days will give us pleasure’, proved to be applicable in the vast majority of cases for both pupils and staff. 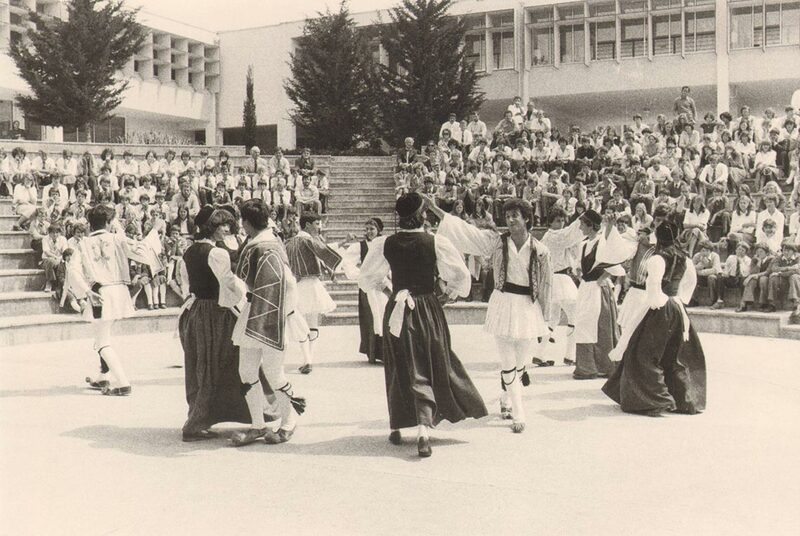 The wide range of activities available within the school and local community and the wonderful facilities afforded to specialist areas within the school had a direct influence upon the educational experience of those who enjoyed the settled days of the late Twentieth Century in the Sovereign Base Areas of Cyprus. Sport has always been prominent, as has music and drama, and the ability to take part in the Duke of Edinburgh Award scheme in the wonderfully challenging Cyprus hinterland has been present since the earliest days of the school. The Comprehensive nature of the school’s organisation gave opportunities to all, and the curricular support given by SCEA and then SCE to successive Headteachers and Staff ensured appropriate development in line with UK schools. In 2009, St John’s School was federated, with a single Headteacher, with King Richard School in Dhekalia. In 2010 the school community celebrated the Golden Jubilee of St John’s and many former pupils travelled from around the world to join in the celebrations. The current Executive Principal was appointed in July 2014 and the Senior Leadership Team now work across both schools. Both schools continue to serve the needs of British Forces Cyprus and instil our core values of Excellence, Learning and Leadership.